2 new bundles launched at Fanatical today – Mega and Jumbo bundles, each containing 50 Steam games and costing $2.49 so if you want to expand your Steam library by 100 new titles, spending $5 at Fanatical might be the way to go. 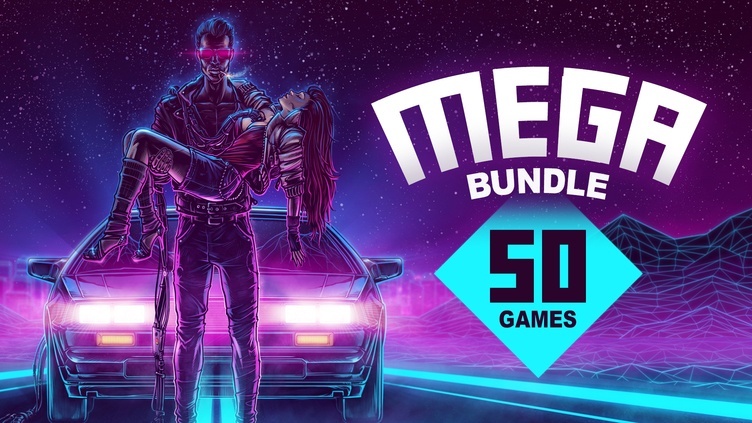 Mega Bundle collects games such as Outdrive, The Dweller, Upside Down, Neon Space, Luxor Evolved, Crystal City, Dispatcher and many more indies. Jumbo Bundle collects Castle of no Escape 2, Galactic Lords, Frederic: Evil Strikes Back, 16bit Trader, Silver Knight, Sparkle 2 Evo and a bunch more mostly unknown indie titles. Humble Monthly Bundle May 2019 – new game added! From the creators of Hades and Bastion, Transistor is a sci-fi themed action RPG that invites you to wield an extraordinary weapon of unknown origin as you fight through a stunning futuristic city. A free game promo by Epic Games Store. Grab a FREE Lethal League Steam Key – Restocked! IndieGameBundles is the worlds first bundle aggregator. Online since March 2012, our small website based in Croatia (look it up on the map, kids) is operated by just 2 indie loving people passionate about bringing you all the news about pc game bundles, free steam keys and other free games, digital game deals and indie game reviews.